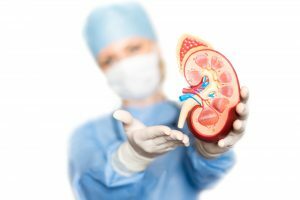 Is Kidney Disease Associated With Obesity? Severe obesity is linked with a number of health problems. Diabetes is one of the most closely associated concerns, but other issues can also arise as a result of carrying excess weight. Additionally, some conditions may develop as a reaction to having other health problems. Our extensively trained bariatric surgeon, Dr. James Parrish, explains that this is how kidney disease and obesity are correlated with one another—through the development of other weight-related complications. If you’re suffering from obesity and you’ve noticed these symptoms, it’s important to alert your physician or bariatric surgeon promptly. Weight loss surgery can be a very effective method of weight loss for many patients, which can in turn help reduce the complications of weight-related conditions. Talk to us today to learn more.